Dip-5042Ez-1Hd - Divar Ip 5000 Video Storage Appliance Micro Tower (4-Bay) Jbod 1 X 2Tb Front-Swappable Hdd Includes 32 Channel Vrm License (Non-Expandable) And Built-In Uhd Dynamic Transcoder. Tpm Module Included. Dip-5042Ez-2Hd - Divar Ip 5000 Video Storage Appliance Micro Tower (4-Bay) Jbod 2 X 2Tb Front-Swappable Hdd Includes 32 Channel Vrm License (Non-Expandable) And Built-In Uhd Dynamic Transcoder. Tpm Module Included. 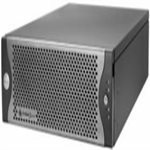 Dip-5042Ez-4Hd - Divar Ip 5000 Video Storage Appliance Micro Tower (4-Bay) Jbod 4 X 2Tb Front-Swappable Hdd Includes 32 Channel Vrm License (Non-Expandable) And Built-In Uhd Dynamic Transcoder. Tpm Module Included. Dip-5044Ez-1Hd - Divar Ip 5000 Video Storage Appliance Micro Tower (4-Bay) Jbod 1 X 4Tb Front-Swappable Hdd Includes 32 Channel Vrm License (Non-Expandable) And Built-In Uhd Dynamic Transcoder. Tpm Module Included. Dip-5044Ez-2Hd - Divar Ip 5000 Video Storage Appliance Micro Tower (4-Bay) Jbod 2 X 4Tb Front-Swappable Hdd Includes 32 Channel Vrm License (Non-Expandable) And Built-In Uhd Dynamic Transcoder. Tpm Module Included. Dip-5044Ez-4Hd - Divar Ip 5000 Video Storage Appliance Micro Tower (4-Bay) Jbod 4 X 4Tb Front-Swappable Hdd Includes 32 Channel Vrm License (Non-Expandable) And Built-In Uhd Dynamic Transcoder. Tpm Module Included.